Since it's been almost 2 months since my last haul blog post I thought I'd share what I've picked up from Penneys and Zara over the last few weeks. I often do hauls like this over on my Snapchat (my username is penneystoprada) or Instagram stories (you can find my Instagram here) so make sure to follow me over there too to see my unhealthy shopping habit in all it's glory! 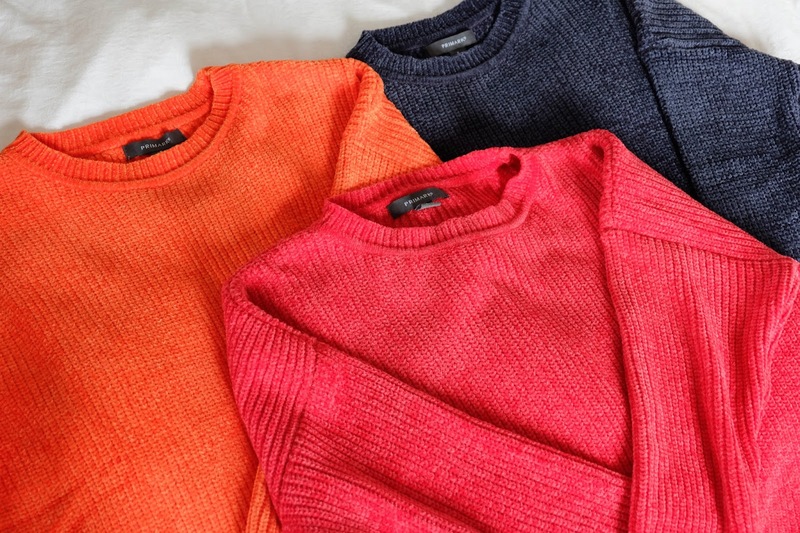 The first thing I want to share with you all are these chenille jumpers from Penneys. They're only €12 so naturally I picked them up in almost every single colour and they are just so cosy! The fit of these jumpers is quite boxy and oversized so I actually downsized for these because I like my knitwear to be quite fitted. I also picked up the black and white striped version but the small size (which is the size I picked all the others up in) was actually a lot bigger than the other jumpers I have so I'll have to see if it was just that one jumper that had a different sizing or if the striped one is just a different fit. Below is an example of how I would style these jumpers, nice and comfy! Next are these new haircare products that Penneys have just brought out. 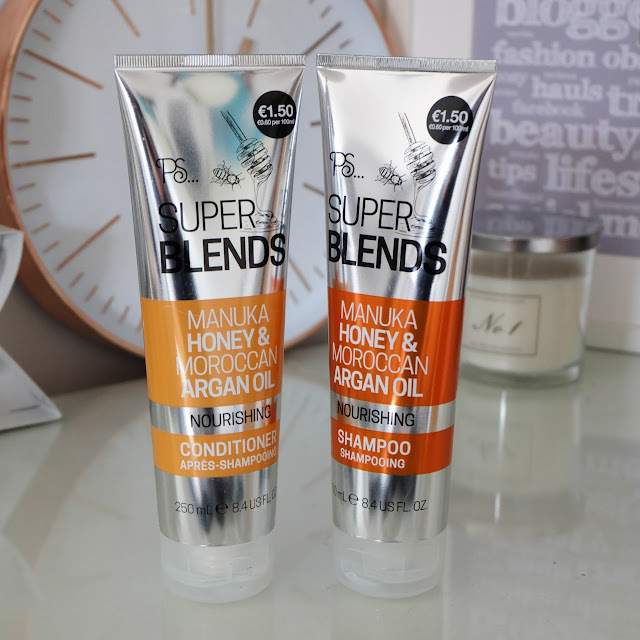 There's two other ranges in the Super Blends collection, a 'Coconut & Cactus Flower' for strengthening hair and a 'Pomegranate Green Tea & Cranberry' for colour protection. I picked up the 'Manuka Honey & Moroccan Argan Oil' as it promised to be nourishing and we all want nourished silky hair right? For only €1.50 each, they're a serious bargain and having used both the shampoo and conditioner a few times now I'm really impressed with the quality of them too. It's a win win situation! Next we have some of the bits and pieces that seem to somehow make our way into the shopping basket, totally accidentally of course! 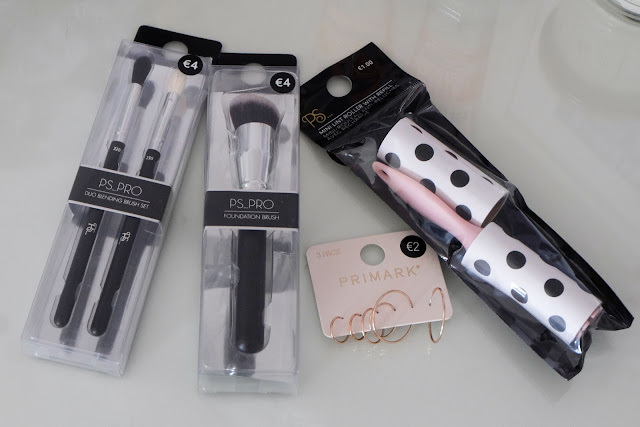 Penneys have just brought out a whole new P.S Pro make-up brush collection and each brush costs just €4. I picked these two up during the week and then on Friday, much to my surprise I came home to a delivery from Penneys with almost all of the brushes in the collection. If you follow me on Instagram then you probably saw me chatting about them on my story and if you don't follow me, well then now you know what you're missing out on! This pack of rose gold hoops couldn't be left there because hoops are totally in right now and for €2 I couldn't resist. I also picked up these mini lint rollers which I thought were absolutely genius for travelling, or even for keeping in your handbag! When it comes to stationery I just have no will power or self control, especially if it's super cute (and very inexpensive) stationery! 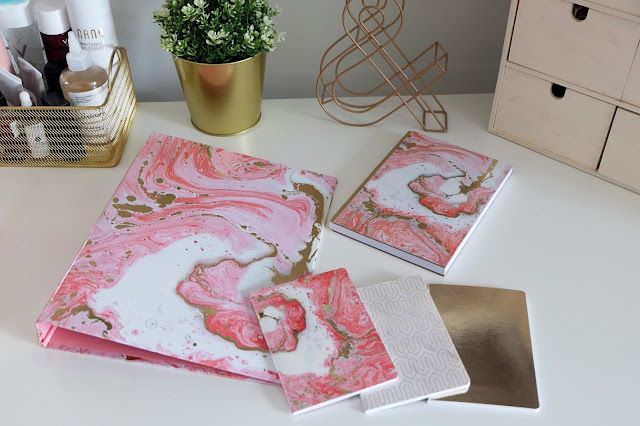 Penneys always have a great range of notebooks and when I saw this pink marble with gold detail design I had to have the entire collection! Both the A4 ring binder and pack of 3 mini notebooks were just €1.50 and the bigger notebook (which is nice and sturdy) was €3. Then finally we have a few purchases from Zara. I was chatting about these Mom fit jeans on Snapchat the other day as I wasn't too sure about the fit of them on me. The general consensus I got from you all is that they were a 'no' so I will be returning them but I said I'd include them in this haul as they might look great on some of you and they're only €29 which is great for a good pair of jeans. 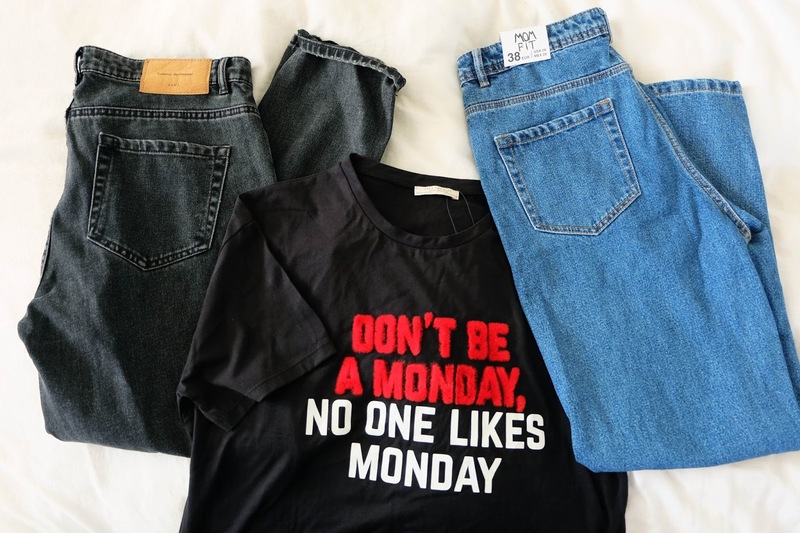 When ordering the jeans I also spotted this slogan t-shirt and I just loved the colours and font of it, so it somehow fell into my basket but unfortunately I've just searched the Zara website and it seems to be sold out! I'm sure some stores might still have it in and it was only €9.95. Have you picked any of the items from this haul? 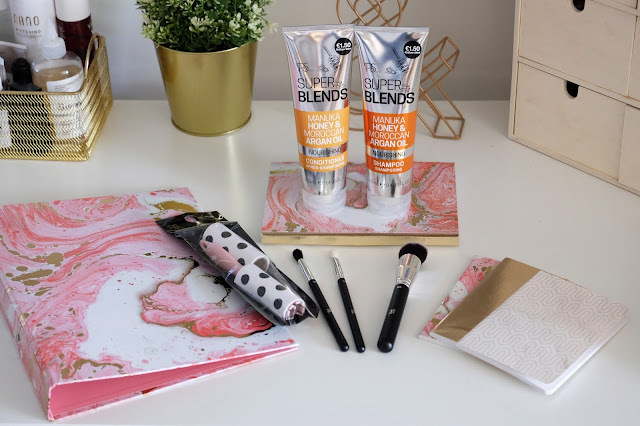 If you've tried out the new Penneys Super Blends haircare products I'd love to hear your opinions on them! I hope you enjoyed this little haul, thanks so much for reading!